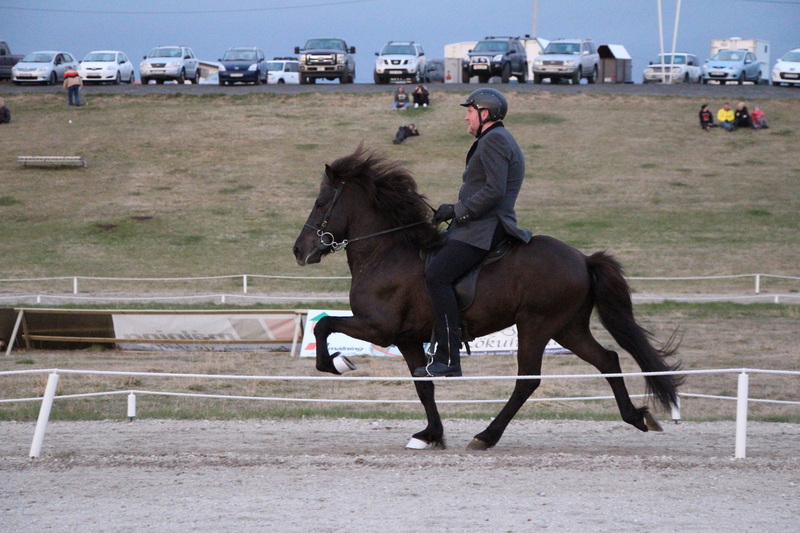 Five gaited competition stallion and a champion with extremely good gaits and spirit. Sólbjartur is son of Huginn frá Haga (8.57) and Björk frá Vindási. Sólbjartur frá Flekkudal (8.29) is a first prize five gaited competition stallion and a champion with very good and equal gaits. 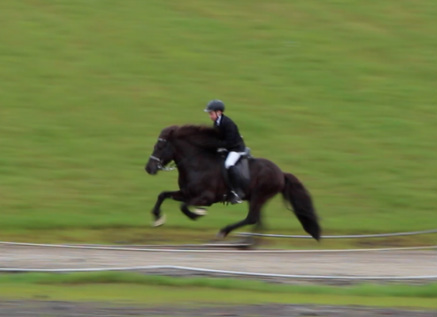 He has 8.32 for Rideability; 8.5 for tölt, 8.5 for spirit, 8.5 for general impression, 8.5 for walk, 8.5 for canter, 8 for trot, 8 for pace, 8 for gallop and 8 for slow tölt. 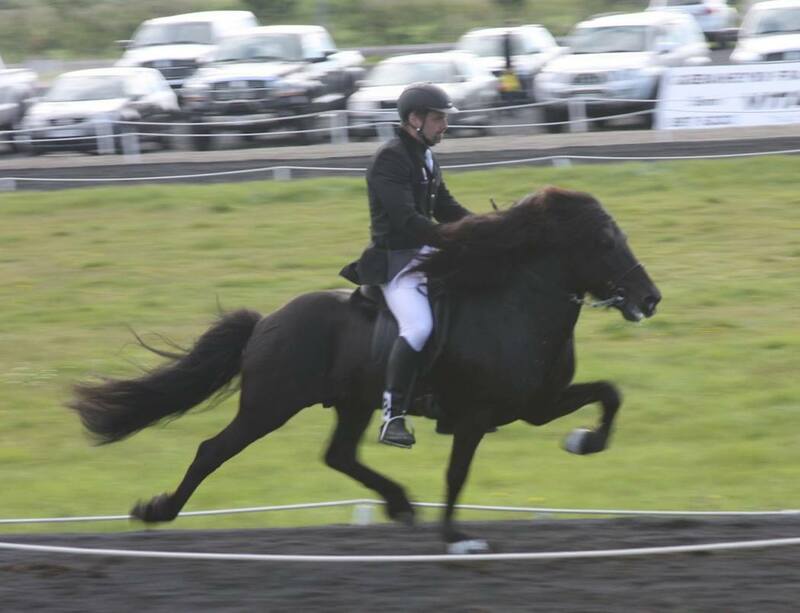 Sólbjartur is a black beauty with 8.24 for Conformation, 8.23 in Total. 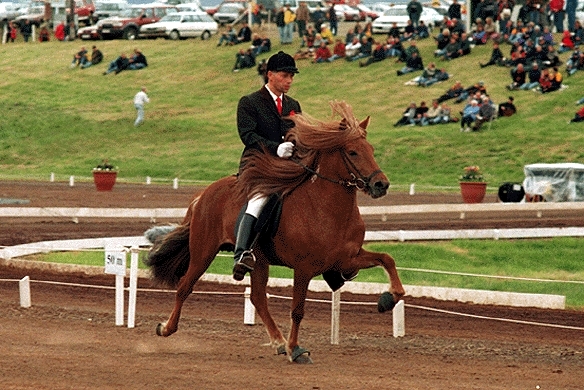 Sólbjartur is a great compatition stallion especially in five gait, in A-Class and in tölt. Sólbjartur is son of the great stallion Huginn frá Haga I (8.57) and the amazing mare Pyttla frá Flekkudal (8.55). 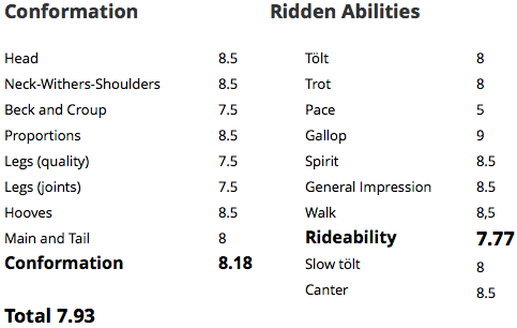 Pyttla has 8.73 for Rideability; 9.5 for tölt, 9 for frot, 9 for spirit, 9 for general impression, 9 for slow tölt, 9 for canter, 8 for gallop and 8 for walk. Pyttla is a great competition mare both in tölt T1 four gait V1 and in B-Class. She had the prize of honour for her offsprings at LM2012. His father Huginn frá Haga (8.57) is a great stallion with 9.05 for Rideability; 10 for spirit, 9 for tölt, 9 for pace, 9 for general impression, 9 for slow tölt, 8.5 for trot, 8 for gallop and 8 for walk. Huginn got the 1st. prize for his offsprings at LM2008 and had the prize of honour for his offsprings at LM2012.